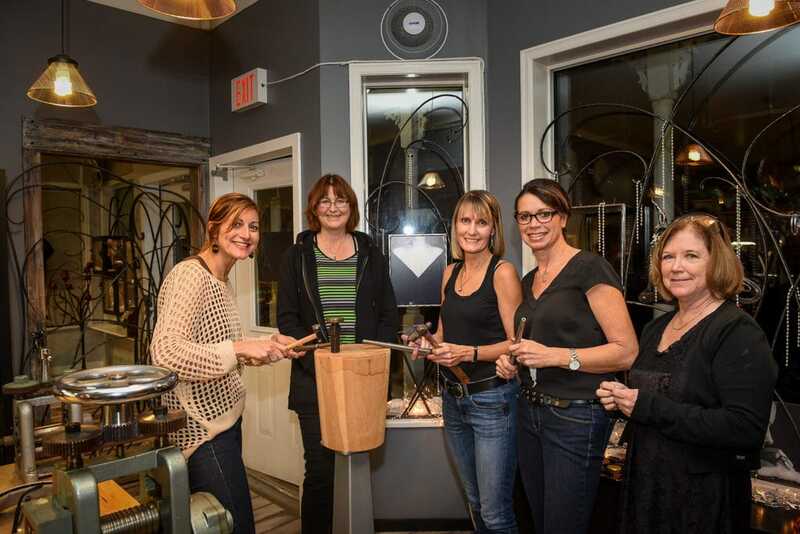 Jewelry workshop – team building event. We offer private classes for anyone who wishes to have one-on-one training or is interested in a specific skill set that we do not currently offer in a class or the class you are interested in is not currently running. Whether you want to get a group of friends together for a special occasion and have a jewellery making party or you own or manage a business and are looking for a cool and unique idea for a staff party, Juvelisto School of Metal Arts offers private party classes for a minimum of 4 people and a maximum of 8. We have a range of jewellery projects that you can accomplish in just one evening or one weekend day. You can chose from projects such as bangle bracelets, stacking rings, sailor knot rings, etc. or we can also customize a project to meet your specific requests. Create a memorable experience for you, your friends, family or co-workers! 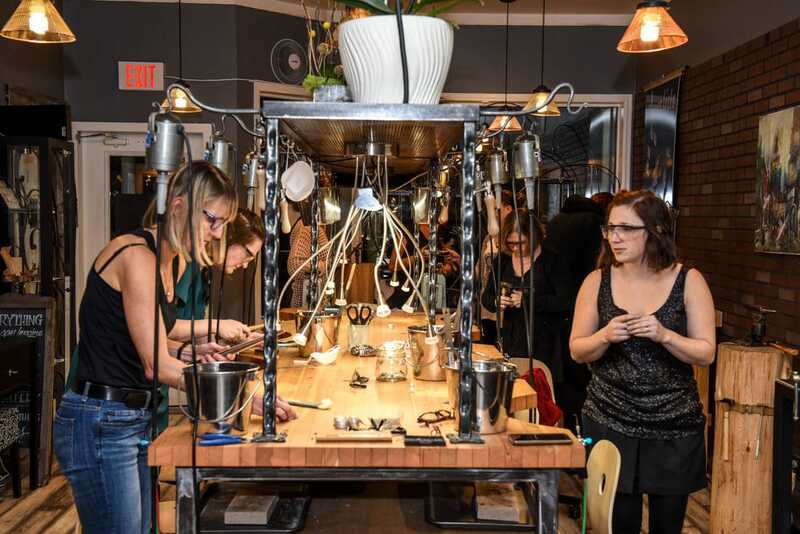 Not only will it be a great experience to share with your buddies or an excellent team building activity for your staff, each attendee will leave with a piece of sterling silver jewellery they handcrafted themselves. We also offer additional services such as supplying snacks, beverages and/or treats as well as professional photography services. Contact us today and find out how we can help you create an unforgettable experience!